Visitors to the Heritage Area who are traveling with children will take heart in knowing that many of the region’s attractions offer programs and facilities especially for kids. The Schuylkill River Heritage Area boasts several world-class zoos, gardens, parks, and museums that will excite both kids and adults. Historic sites and history museums offer kids great opportunities to learn about our nation’s past by talking to them on their level. Many history museums offer special programs, exhibits, and activities for kids throughout the year on a variety of topics. Environmental Education centers offer great programs where kids can learn about native plants and animals, get their hands dirty, and learn a bit about the larger world around them. Many also offer day camps during the summer. 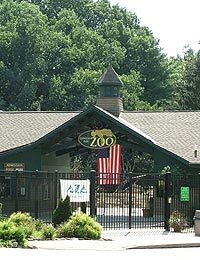 Zoos and Nature Preserves are great fun for the whole family and can help to get kids interested in science and nature. Farms and agricultural museums are a great way to teach kids about where their food comes from and get them outside at the same time. The Please Touch Museum in Philadelphia’s Fairmount Park is a wildly popular attraction for kids and adults, particularly on those cloudy days. Finding a place to take your class on a field trip is not always easy. Teachers can use the search features on this page to find places that are open and welcoming of school groups in their area or by searching for a specific theme or topic. Some places also offer lesson plans and other pre-visit materials.